Ecommerce Design & Development Launch your ecommerce sales into the stratosphere. Over the last 15 years online shopping has exploded. Over 70% of internet users made a purchase online in 2016. Retail shopping is in decline and internet shopping is increasing year on year end. Having a strong online presence for your business is now more important than ever. At Valen digital we build, structure and monetise ecommerce websites to ensure that a visitors journey on your site is simple and easy, for them to make a purchase or contact you about a service. Appealing yet Functional Ecommerce Websites Acquire Customers, Increase ROI, Improve your bottom line. At Valen digital we have an in-depth knowledge of what works for an ecommerce website. Our designs are visually appealing yet retain all the functionality you would expect from an ecommerce website. Combining a design with the knowledge we have in digital & search marketing you have a winning scenario. This provides a solid ground for your e-business success. Our ecommerce designs are developed to attract new customers to your website. Visitors are provided with an easy journey thorough out your site to ensure that their interaction lands them onto a checkout page as quickly and as easily as possible. Coupled with our conversion rate optimisation techniques we can improve your bottom line and ultimately your ROI. Magento is an enterprise solution that’s used by many big online retailers. It has all the functionality required for you to start and grow your online presence. WordPress combined with WooCommerce can provide an easy solution for those looking to start their online e-business. Ideal for start-ups without a huge budget. Our preferred ecommerce solution is Magento. Why? because Magento has all the functionality that an e-business needs to provide a seamless ecommerce experience. Magento provides a truly fully functional front end experience for your visitors but has all the back-end functionality like payment gateways, delivery options, VAT setup, promotions, attributes and a whole load of enterprise functions that will allow your business to grow. 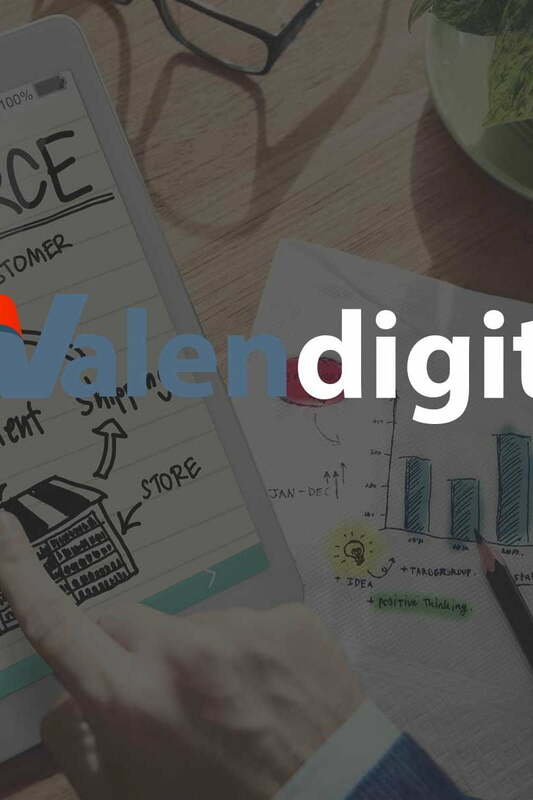 At Valen digital we can design and extend the functionality of Magento to incorporate your business requirements at a fraction of the cost compared to other agencies. Whether you choose Magento or WordPress to be your ecommerce websites platform you can be assured that we can design, setup and configure those platforms to tick all the search engines requirements. Our ecommerce stores are designed from the ground up with SEO in mind. In an ecommerce shop, products can have multiple options and configurations. More often than not these have serious SEO issues like pagination, duplicate URL’s and duplicate meta tags etc. (to name a few). We are able to resolve these issues even before they present a problem. We design and deploy ecommerce sites ensuring that all SEO factors are addresses before your site is launched online.